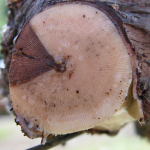 Trunk Disease Management: grower usage and perception of preventative practices. We as researchers think the preventative practices for trunk diseases are effective. We surveyed growers to see if they feel the same. Link to presentation:Trunk Disease Management, grower usage and perspective of preventative practices. 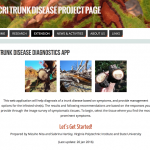 SCRI Trunk Disease Project Website and Database. The Nita lab is working on the interface for our projects which include: development of the project website; a web-based trunk disease app and other Extension materials; and trunk disease DNA database. Link to Presentation: SCRI Trunk Disease Project Website and Database. 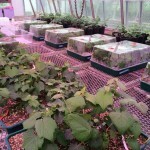 We developed methodologies to rapidly and reliably screen grapevines in the greenhouse. Now we are examining cultivars and germplasm for sources of resistance to trunk diseases, specifically Eutypa dieback and Phomopsis dieback. Link to presentation: Evaluating grapevine germplasm for resistance to Eutypa Dieback. This is a presentation about the progress we made in understanding the mechanisms underlying grape trunk diseases with the objective to (i) facilitate the development of more accurate diagnostic tools and (ii) assist the effort to identify genetic sources of tolerance in the grape germplasm. 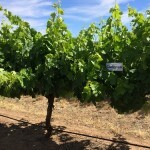 Economic benefits of disease prevention in young vineyards. 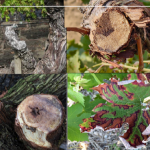 This is a presentation about some of the progress we’ve made on the economic benefits of adoption of preventative practices in young vineyards years before trunk disease symptoms might appear in the vineyard. 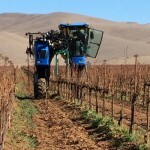 We set out to determine whether growers might benefit from using these practices in young and mature vineyards. 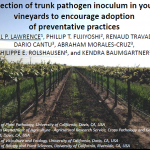 Detection of trunk pathogen inoculum in young vineyards to encourage adoption of preventative practices. 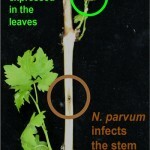 -Possible pathogen detection tools for growers. -Evaluate and improve culture and molecular detection methods. -Promote preventative practices to minimize pruning wound infections. -Develop prediction models to improve decision making processes for pruning times and possible treatments.